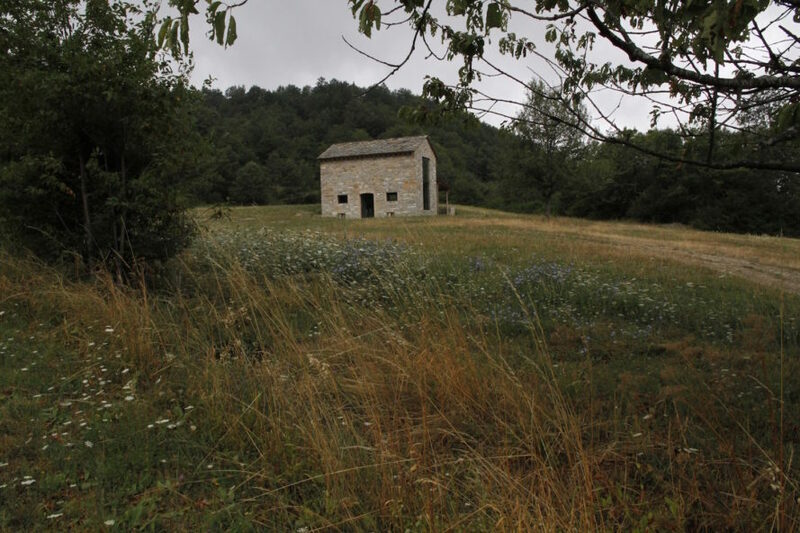 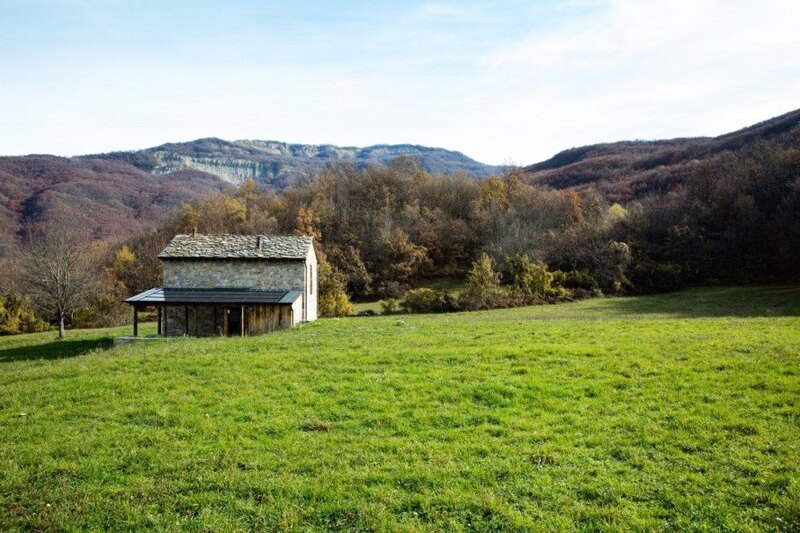 Is there any better way to enjoy Tuscany than with a stay inside a historic stone farmhouse? 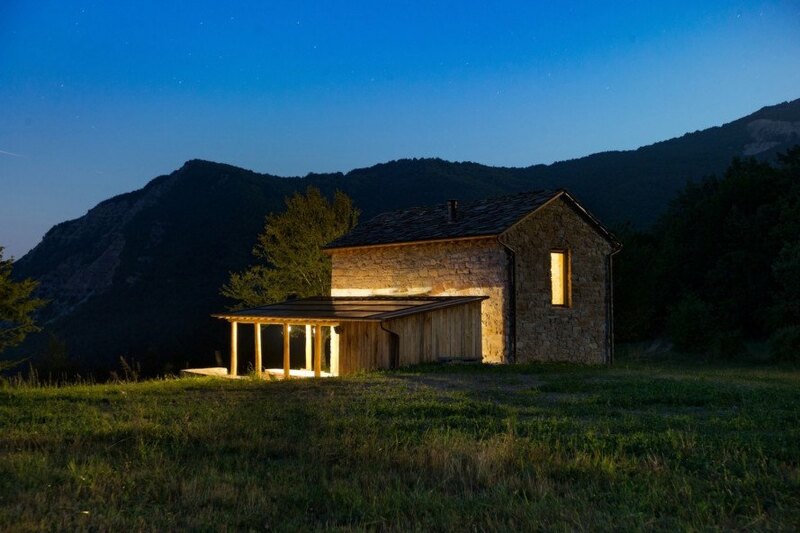 <a href="http://www.continiarchitettura.net" target="_blank">Studio Contini</a> transformed a decrepit rural building into a dreamy summer retreat nestled in the remote pastures of the stunning Tuscan-Emilian Apennines. 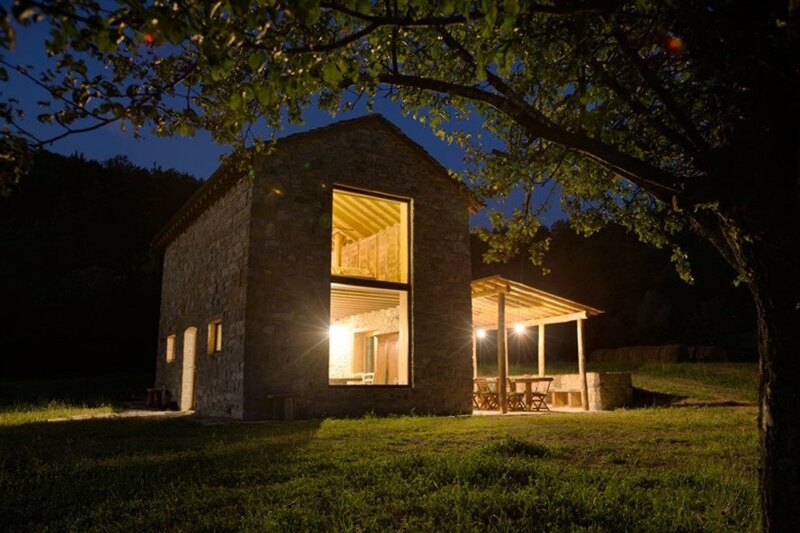 The architects preserved the structure’s original character while adding modern luxuries and bolstering its off-grid capabilities with <a href="https://inhabitat.com/tag/solar-power/" target="_blank">solar panels</a> and a phytopurification waste system. 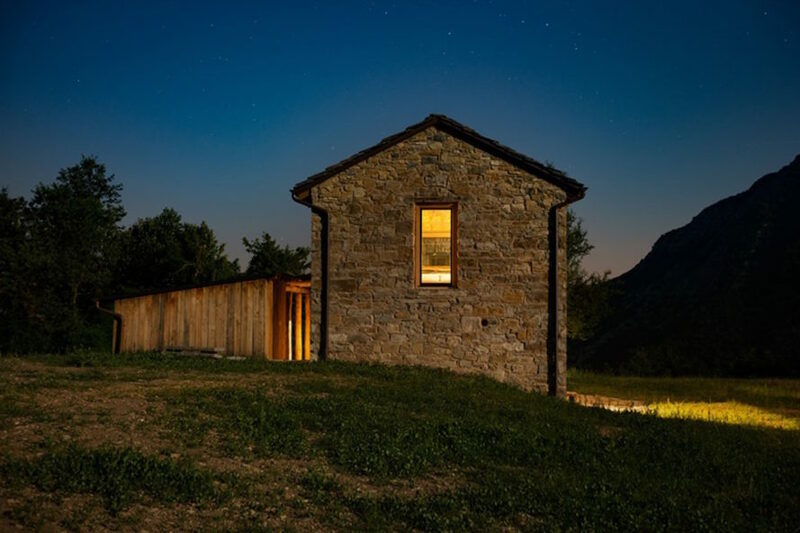 Formerly used to house shepherds and animals, the two-story stone building is tucked away in a hard-to-reach location inside the mountain town of Corniglio. 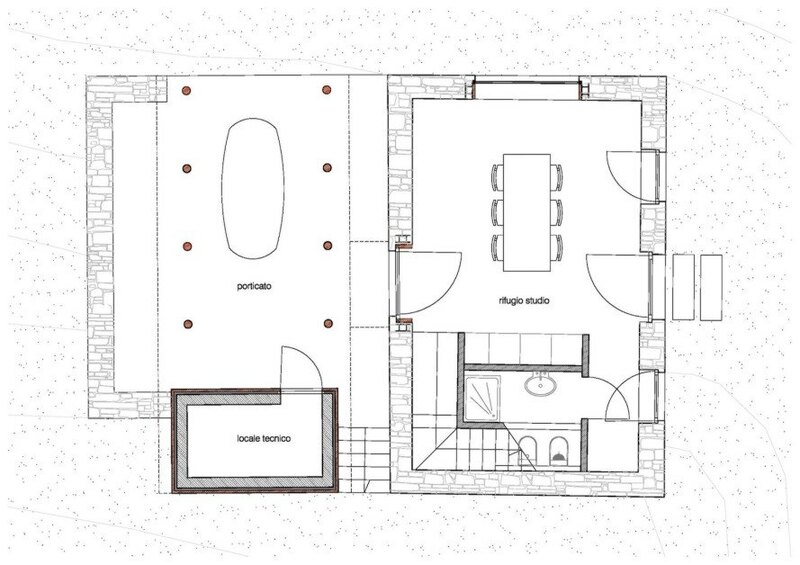 When Studio Contini was tapped for the project, the building was in a state of severe degradation. 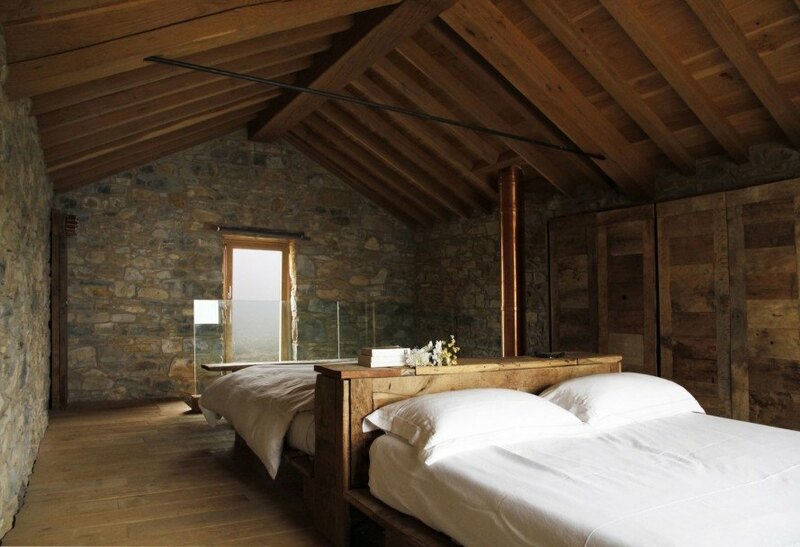 The architects relied on traditional building methods and careful restoration techniques to turn the ruins into a structurally sound building that retained its original rustic character. 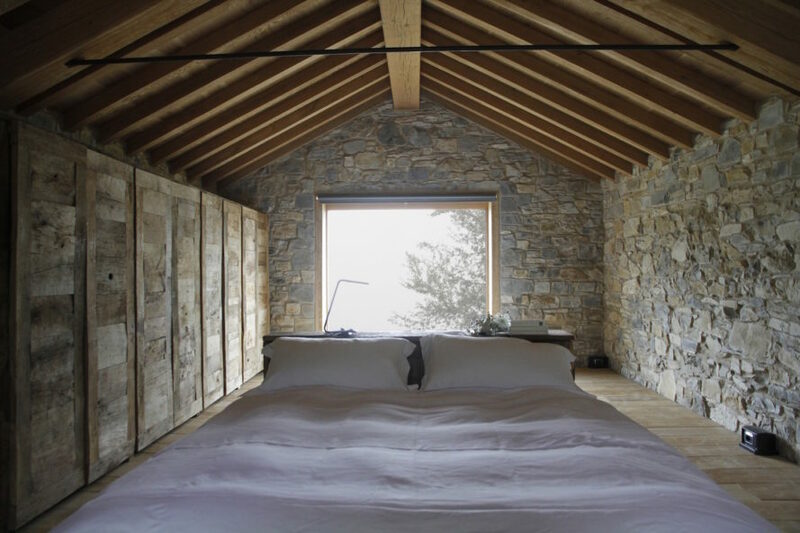 The interior is minimally decorated with exposed stone walls complemented with handsome timber furnishings and ceilings. 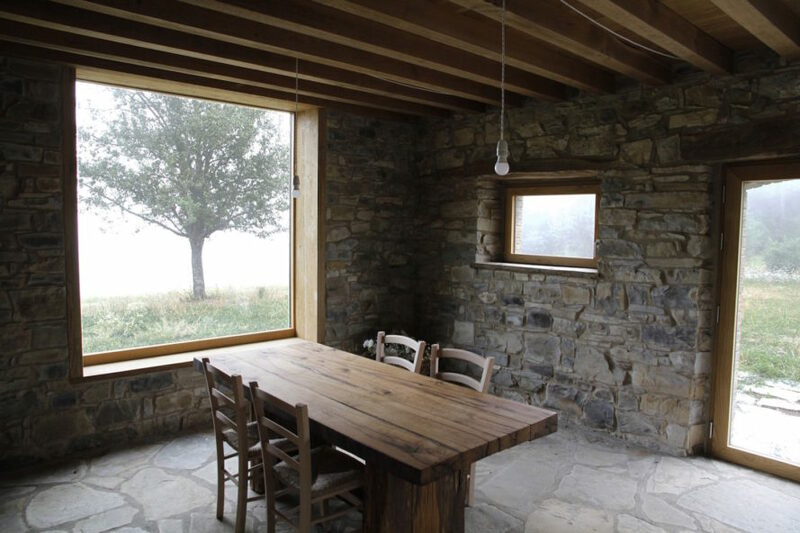 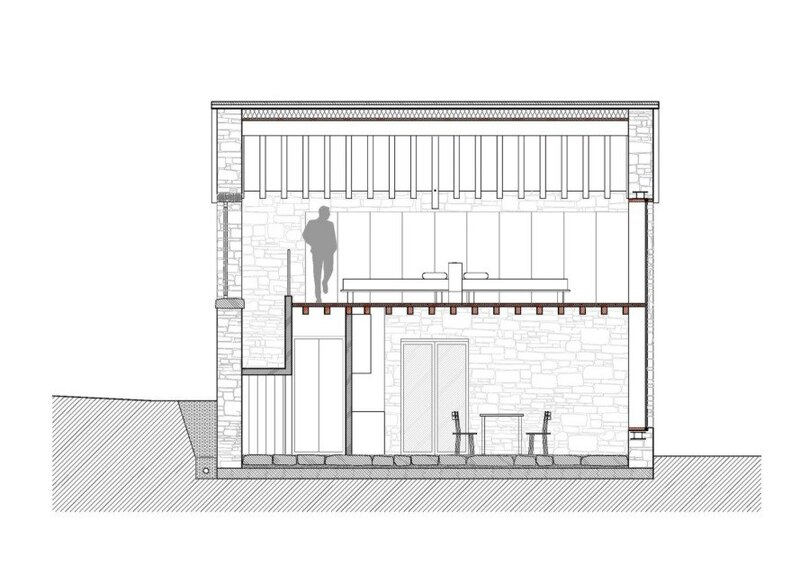 A kitchen and dining room are located on the ground floor, while the upper level is used for the bedroom, which overlooks views of the landscape through large windows. 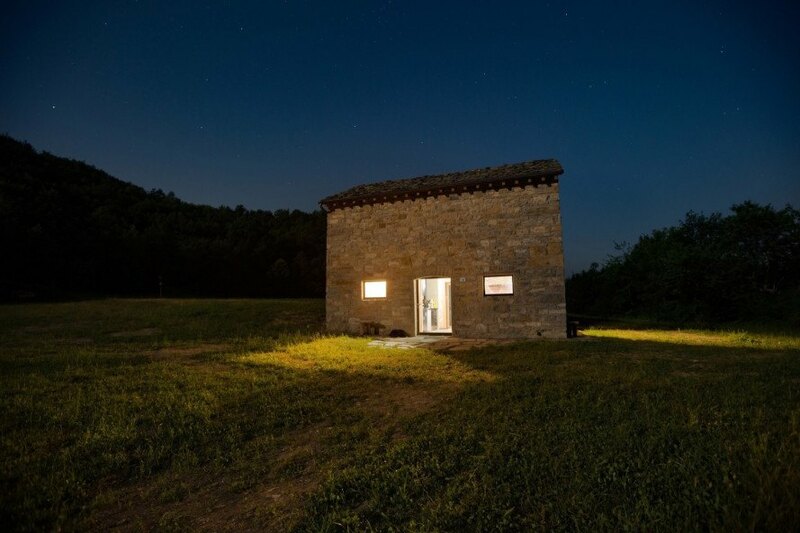 Due to its remote location, the building is made to operate off the grid and is powered by a 12-panel 290W solar array placed on top of the wooden portico. 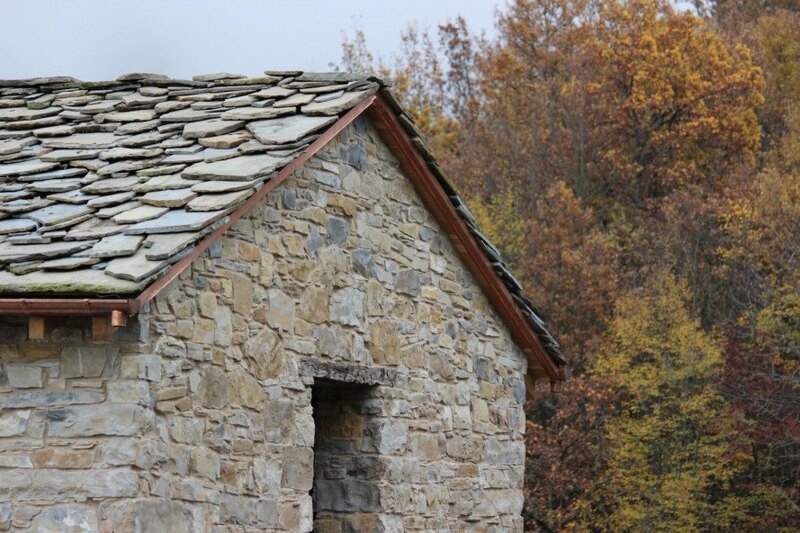 Water is pumped in from a nearby spring, while waste is treated with a phytopurification system. 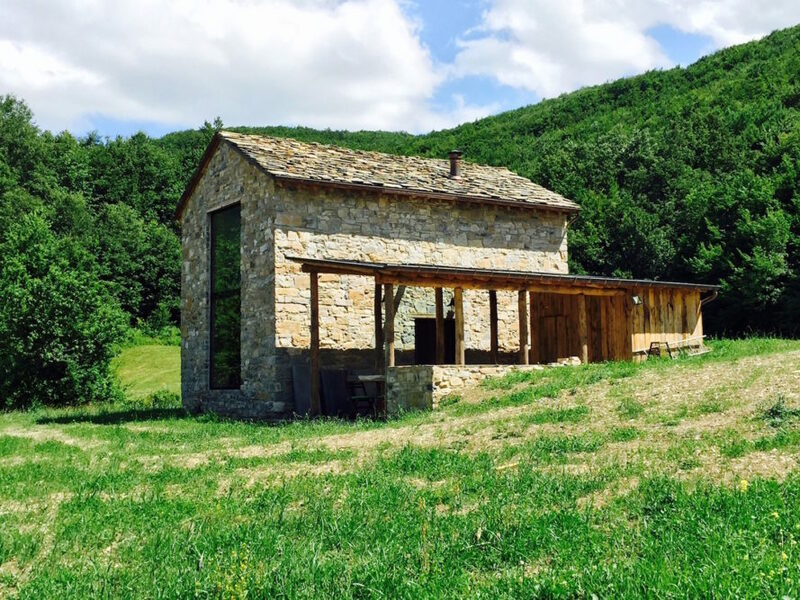 Is there any better way to enjoy Tuscany than with a stay inside a historic stone farmhouse? 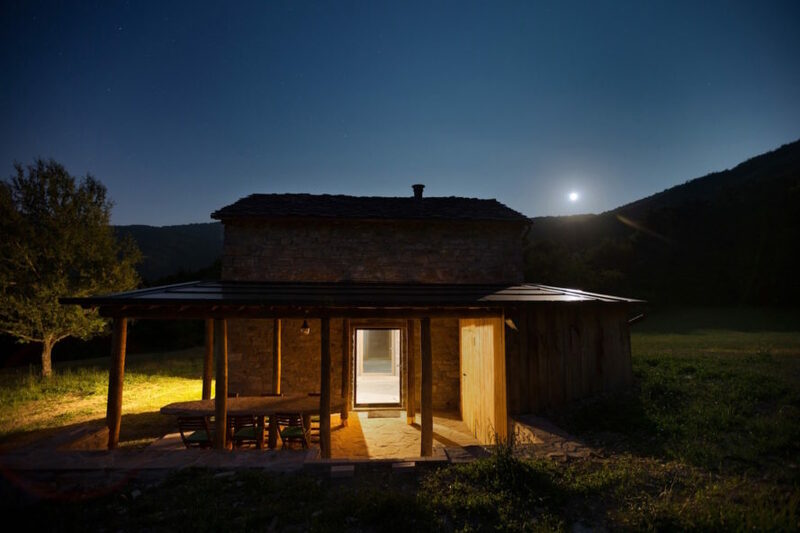 Studio Contini transformed a decrepit rural building into a dreamy summer retreat nestled in the remote pastures of the stunning Tuscan-Emilian Apennines. 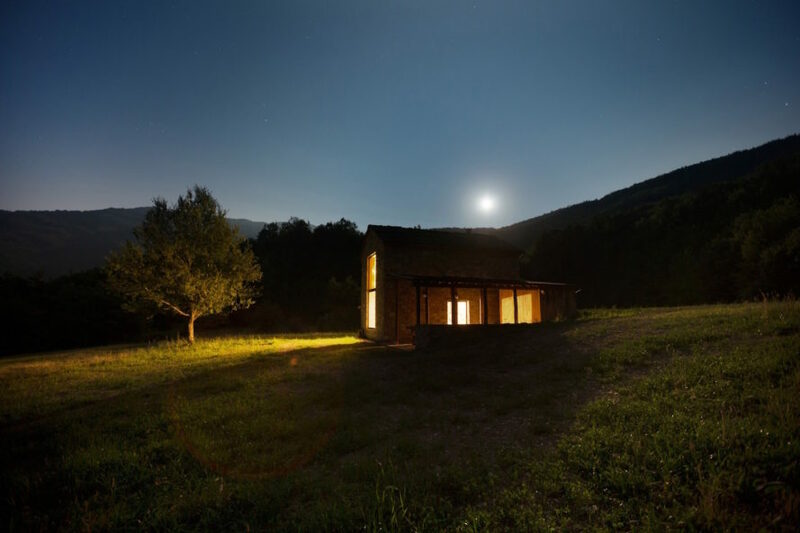 The architects preserved the structure’s original character while adding modern luxuries and bolstering its off-grid capabilities with solar panels and a phytopurification waste system.